Fitness crawls are the new bar crawls—well, according to one event that’s spreading down the Eastern seaboard, that is. SweatCon Rally launched in Boston in 2016 with 30 participants, which ballooned to 450 last year. So this year, founder Tori Scott decided to give workout warriors in other major cities a chance to sweat it out, too. 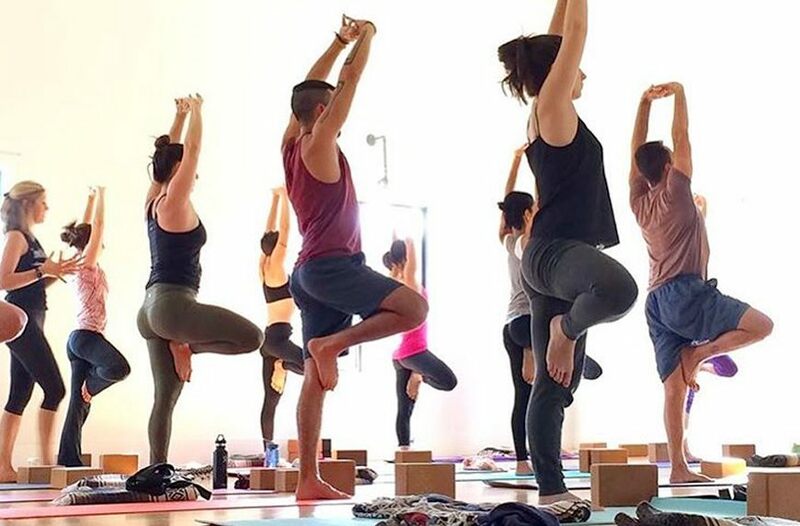 SweatCon has a simple premise: Participants take three 30-minute, back-to-back classes at three boutique studios for lower price than if they paid for three individual classes. Fitness enthusiasts can take part in Boston’s event on April 28 ($75, tickets available now), New York City’s on May 12 ($85, tickets on sale starting April 23), and Washington, DC’s on June 16 ($75, tickets on sale starting May 29). Working out at studios like Y7, Shadowbox, and Cyc Fitness (just a few of the 21 boutique studios the fest has partnered with for the NYC edition) all in a row isn’t the only thing participants will get to do at this event. Because it’s just as much a party as it is a productive day for your muscles, each gathering boasts other stellar wellness features. In New York, for instance, they’ll have a GIF booth, a braid bar (to keep your tresses tamed during classes, of course), a salad bar from Sweetgreen, a juice bar, and swag bags filled with healthy goodies from brands like Reebok, RxBar, Unreal, and Purely Elizabeth. If you’re feeling some major FOMO because SweatCon isn’t slated to host a rally in your area, don’t worry: According to Scott, these East Coast hot spots are just the beginning. “This fall, my eyes are on San Francisco, Chicago, and Miami—those are the next three cities I believe an event like this would be very successful,” Scott says. Find out why boot-camp classes are super beneficial for your fitness goals. Also, here’s what you should know about the rise of clean-beauty hangouts.